I try to feed my guys whole foods, like fruit, yogurt cheese sticks as snacks, but sometimes they whine and complain if I don’t give them something like a cereal or granola bar. You can add extra ingredients if you want. 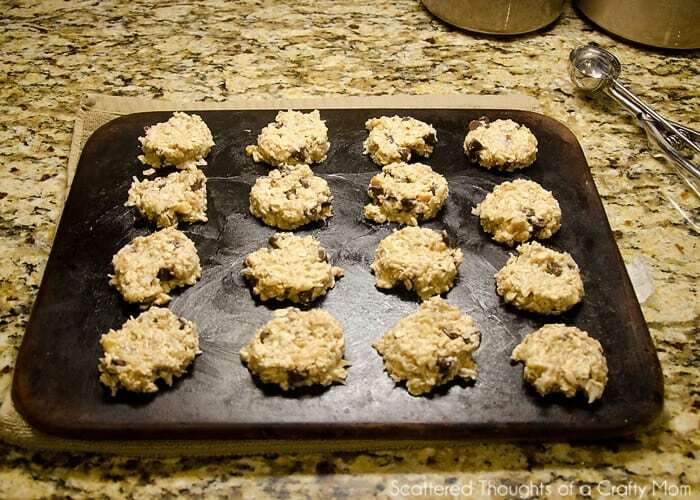 For our cookies, I added a handful of chocolate chips, chopped walnuts and a pinch of shredded coconut. These little extras really made the cookies taste yummy, but I bet they would have been good with out the extras. 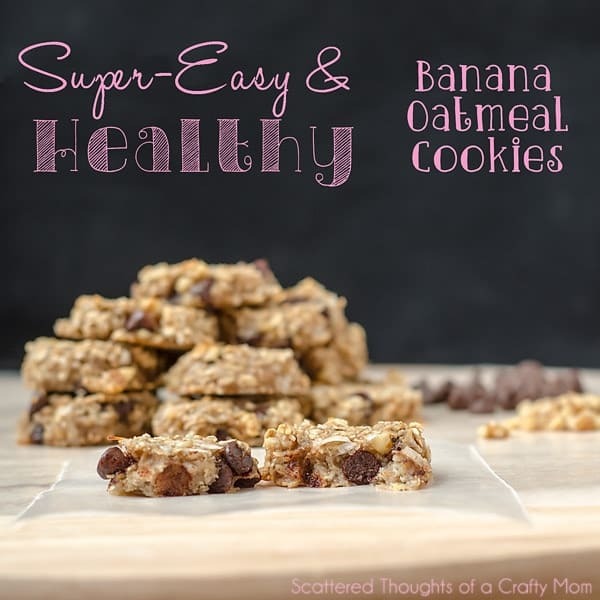 Now, please keep in mind these are a “healthy cookie” and you should not expect them to taste like a sugar filled oatmeal raisin cookie! Check out my white chocolate and craisin version here. Mash the 2 bananas and mix in the quick oats. Stir everything together and add in your optional mix-ins. Recipe yields about 16 very yummy cookies. Update: I made another batch! This one was with craisins and white chocolate chips- so good! I think i'll be trying these guys this weekend to help me satisfy those sweet cravings at night!! I spent at least an hour yesterday searching the internet for something to make out of bananas that didn't involve sugar, and here you are, the first linky on the first linky party I checked today. 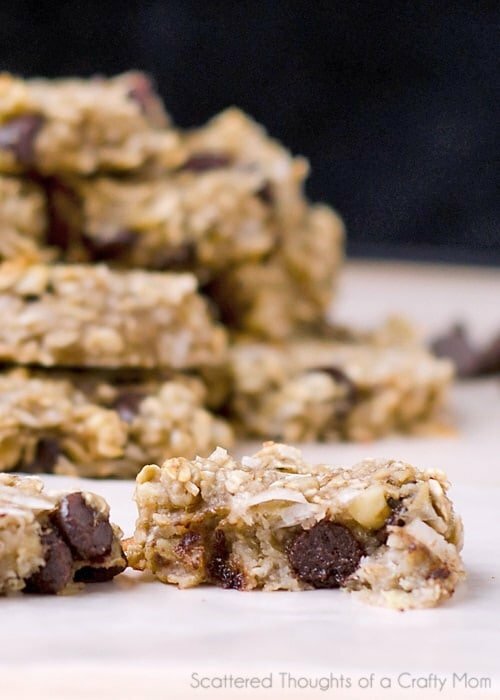 I am making this today, just as soon as I get back from the store with some chocolate chips. Thanks! I'll have to give these a try. Looks good for those ever present over ripe bananas and good for me because I'm gluten intolerant. thanks! Oh this is intriguing, must give it a go. Can't wait to try these. Do you think it would work with regular oats? I'm visiting from Craft-O-Maniac. These sound so delicious! I pinned this recipe to remember. Thank you! These sound wonderful! I love the fact that I have all the ingredients at home and can make them any time. Thanks! Oh, what a neat idea!! We will definitely have to give these a try. Thank you for sharing at Sharing Saturday! 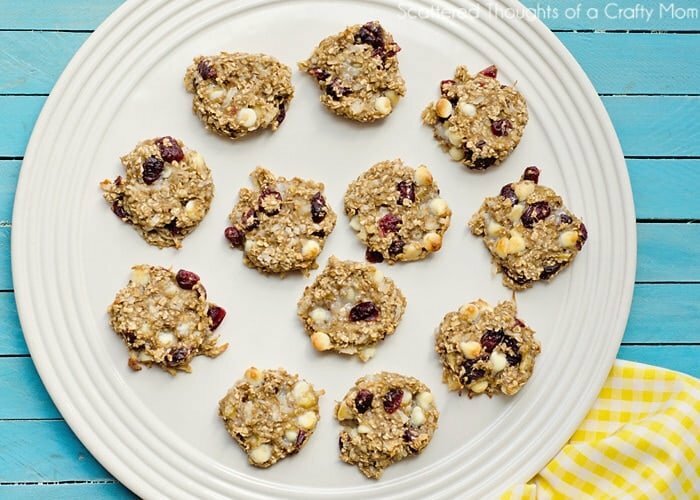 They look scrumptious, the perfect morning snack! 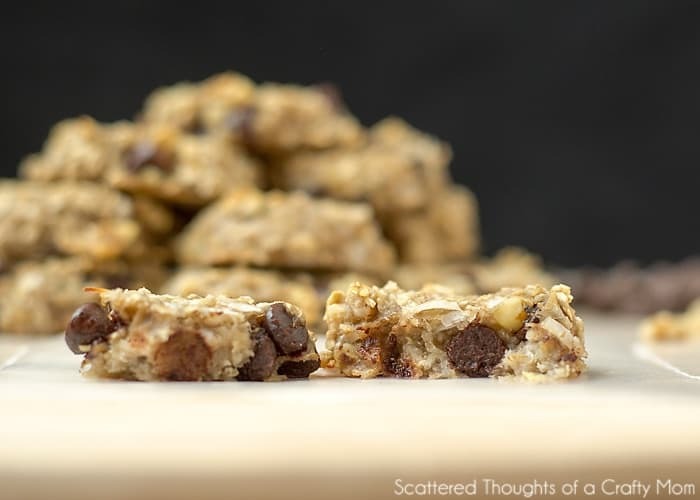 For those asking about old-fashioned oats, I used them but just put the batter in the fridge for about a half an hour before baking to allow the banana to soak into the oats and soften them up a bit. Still tasted great!